This is RAIS’ small, functional and simple stove with Cubist appearance. Q-Tee I is suitable for lower heat requirement and limited spaces. Common sense and classic design. A cute stove that gives the room a soul. Q-Tee has an air-cooled handle and a grand closing system. It also has a shaking grate and an ash tray. You can choose the basic model and put it on the floor or on a plate, or highlight the stove by placing it on a bench or, for example, on a concrete base. 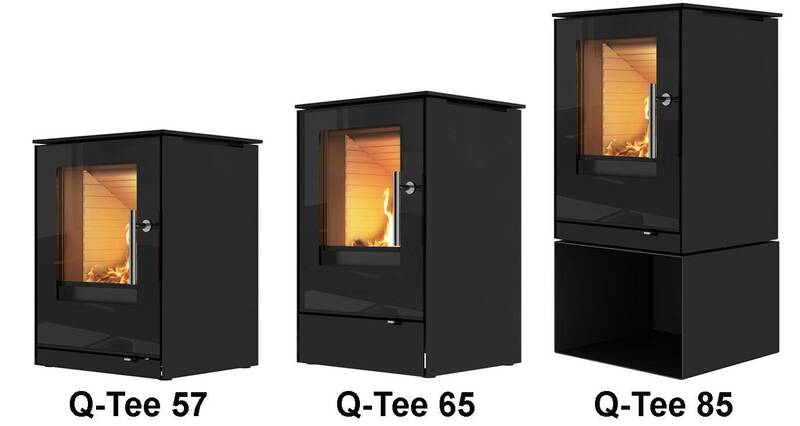 Q-Tee is available in three heights: 57 cm, 65 cm and 85 cm. Available with an all-glass door or with a steel frame. The stove is available with top or rear outlet for the flue duct. Q-Tee can be ordered with AirSystem.